How Much will it Cost to Repair the iPhone X, iPhone 8 and 8 Plus? Apple has revealed the repair prices of an iPhone X, iPhone 8 and 8 Plus. Do you want to know how much the amount goes up? The iPhone X is one of the most impressive smartphones of the year, but the occasion required it. And is that it is not any phone that they had to make a commemorative terminal to celebrate the tenth anniversary since the first Apple mobile was launched. But such a “special” device had to imply a “special” price. Therefore, many have decided to protect this terminal, as well as their younger brothers, with a case or tempered glass. However, sometimes, this is not enough and the screen just ends, the phone starts to slow down for no apparent reason or simply falls into the water for a long period of time and there is no way to fix it. Faced with these situations, it is best to go to an official Apple store. But, if we have one of your last devices, how much will they charge us? Well, we did not have the exact figure until now, but the Cupertino company has just revealed how much it will cost us to repair an iPhone X, an iPhone 8 or an 8 Plus. iPhone 8 screen repair price: 215.46 US Dollar. iPhone 8 Plus screen repair price: 239.25 US Dollar. iPhone X screen repair price: 382.02 US Dollar. The company hides that this cost of fixing the panel of the iPhone X is so high due to the special characteristics of it since it has OLED screen and is the largest mobile presented to date by the organization. iPhone 8 hardware repair price: 477.20 US Dollar. iPhone 8 Plus hardware repair price: 536.69 US Dollar. iPhone X hardware repair price: 727.04 US Dollar. In addition, if it is necessary to send the device to repair, it would be necessary to add 14.40 US Dollar in any case for shipping costs to the rate of repair out of warranty. 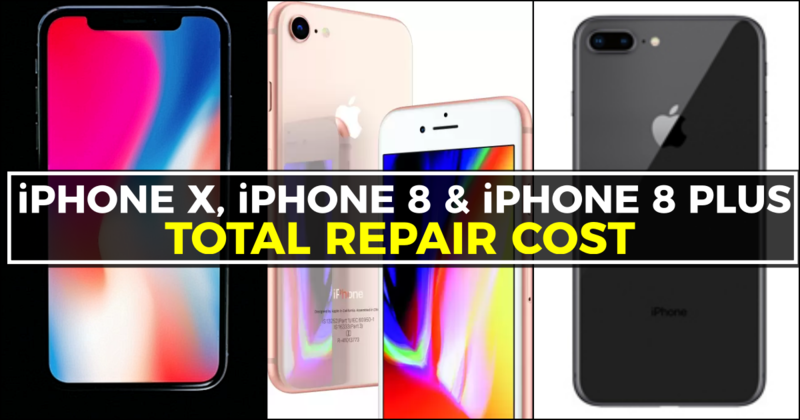 This is the entire repair cost for iPhone X, iPhone 8 and iPhone 8 Plus. I hope this article helps you to know the exact cost of the repairing iPhone’s. Would you like to add any other important points to this article? Then write them to us through our contact us page or in the comment box. We will include them in our article in the next update after the verification. What do you think about these iPhone Repair prices? Is it High, Low or Reasonable?